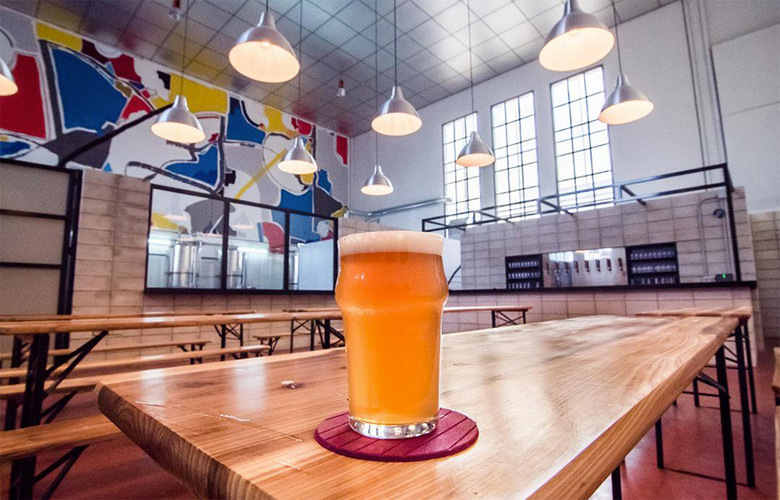 Rio Azul Brewing is a craft brewery beer brand from Seville which hosts tastings at their own space. 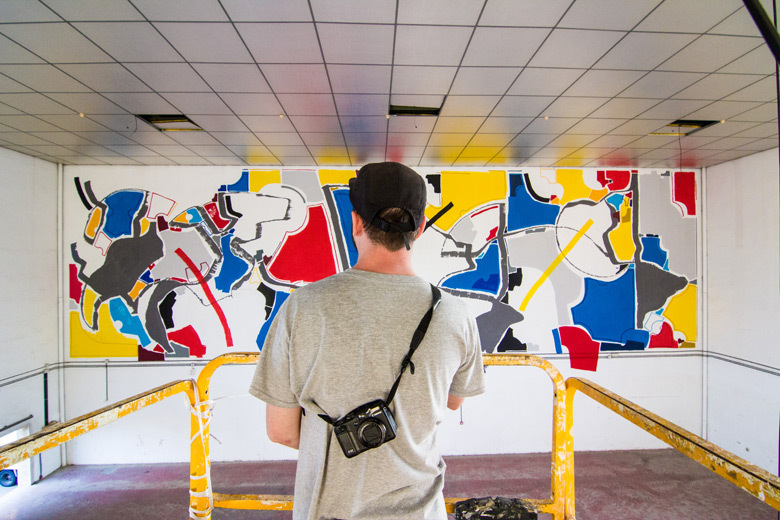 During their quite recently begun beer odyssey the brand has wanted to give some color to their factory space through the works of a local artist, this way keeping the identity they aim to have representing the project. 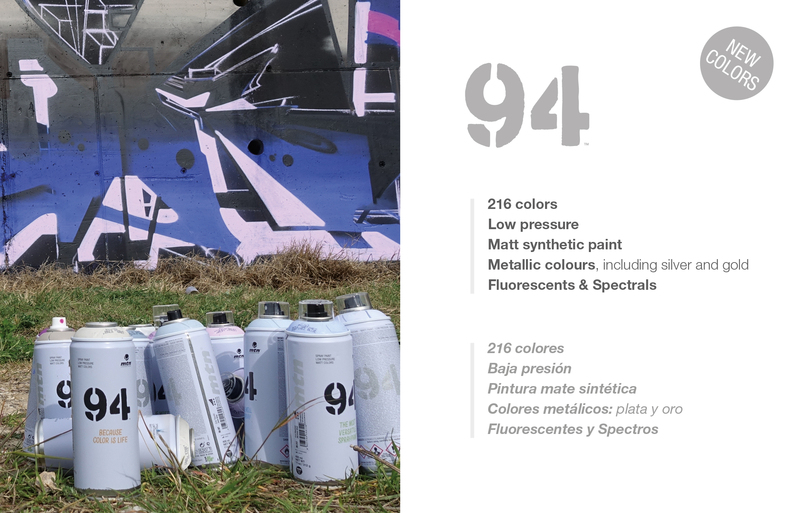 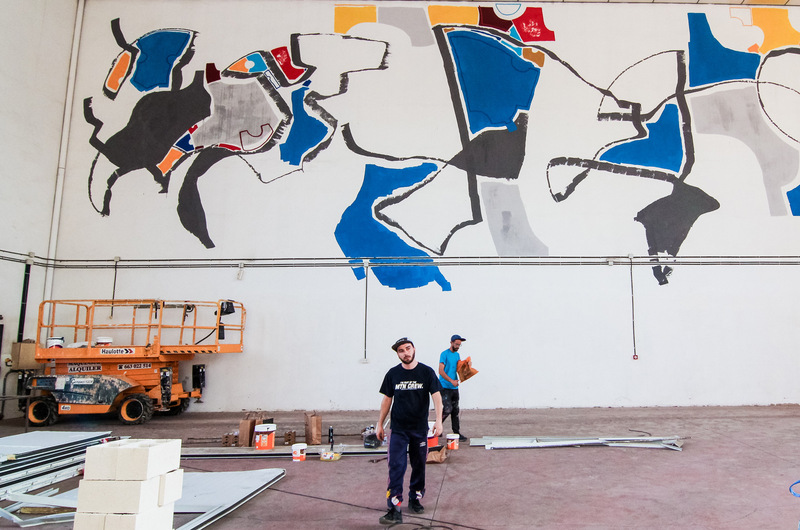 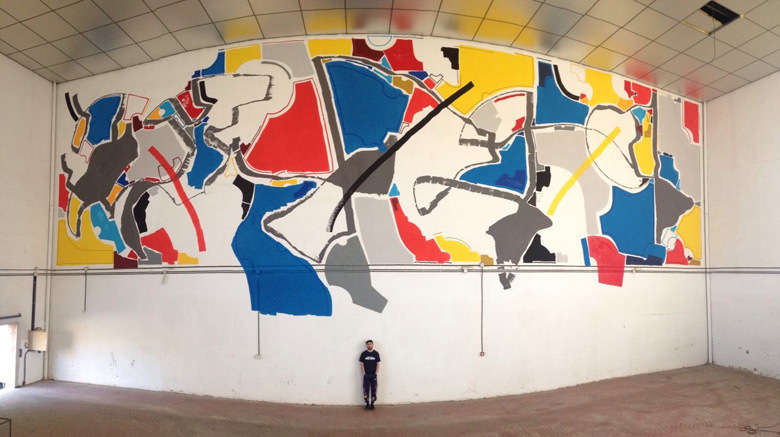 Sevilla’s own Srger has been the one to help designing the enormous walls inside the space by making the largest artistic mural he have made so far. 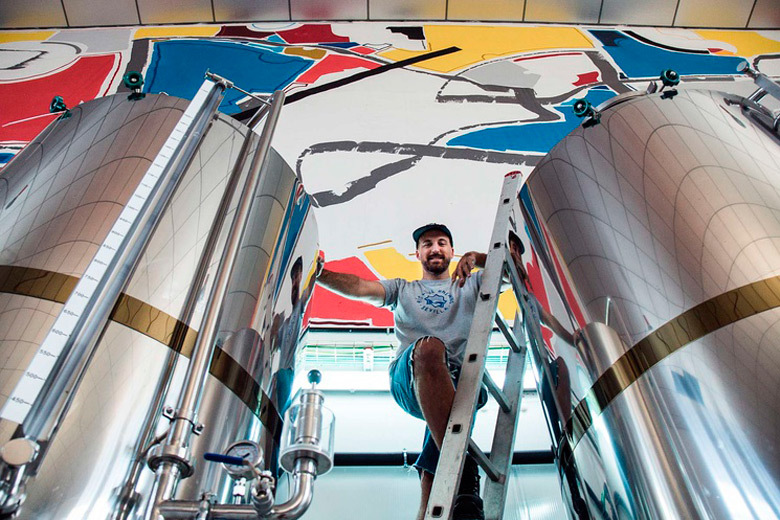 To bring further life to this collaboration Rio Azul Brewing has published a video edited by Bernabé Bulnes. 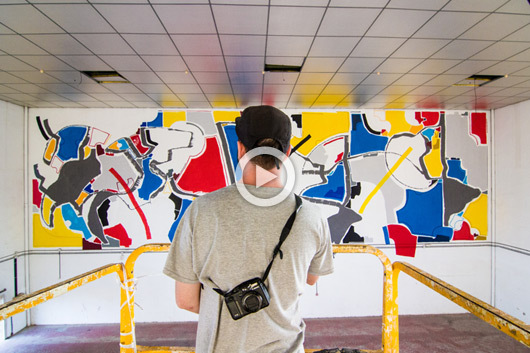 And, apart from giving us a report from the process of the huge intervention, the clip also shows Srger himself explaining both the context of his creation as well as some of the details of the project.